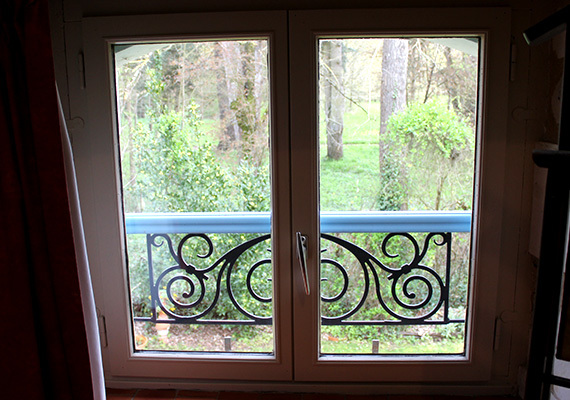 On the first floor, this family suite is made up of two separate bedrooms: Ecureuil and Hérisson. The Ecureuil room is our oldest room and it has kept its « cosy » feeling despite successive makeovers. 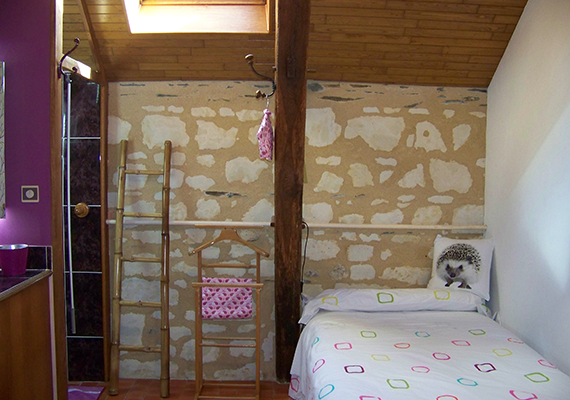 Everything is authentic: the tuffeau stone walls, the oak beams, the furniture and the decoration. It has a hand-basin and a shower. One double 140x190 cm bed. 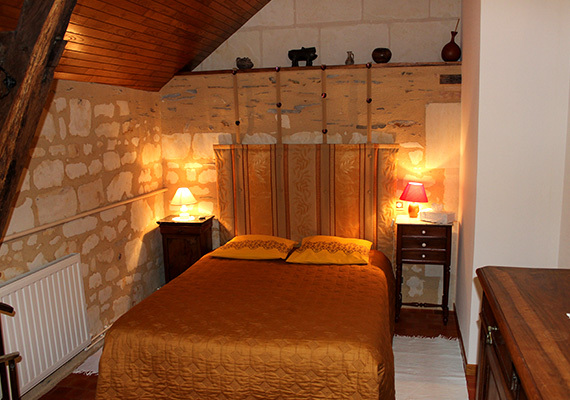 Adjacent to it, the Hérisson room has two separate 100x200 cm beds and is equipped with hand-basin and shower. The toilets are shared exclusively between these two rooms. 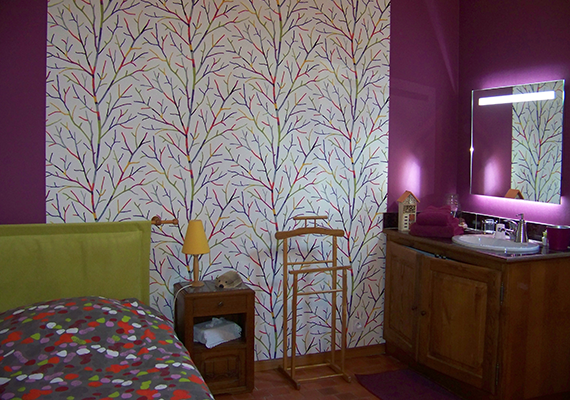 A suite which is ideal if you are travelling as a family with children or with friends.